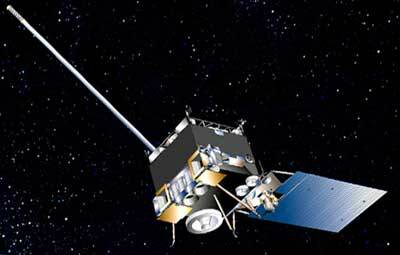 In January 1998, Boeing Satellite Systems, Inc.(BSS), of El Segundo, Calif., was awarded a contract from NASA's Goddard Space Flight Center in Greenbelt, Md. The contract includes the design, manufacture, integration and launch of two Geostationary Operational Environmental Satellites, GOES N and GOES O, with options for GOES P and GOES Q. The GOES program is funded and operated by the National Oceanic and Atmospheric Administration (NOAA). Based on the highly successful BSS-601 spacecraft, the new satellites will provide more accurate location of severe storms and other weather phenomena, resulting in more precise warnings to the public. The three-axis BSS-601 body-stabilized spacecraft design enables the primary sensors to "stare" at Earth and thus frequently image clouds, monitor Earth's surface temperature, and sound Earth's atmosphere for its vertical temperature and water vapor distribution. Atmospheric phenomena can be tracked, ensuring real-time coverage of short-lived dynamic events, such as severe local storms and tropical hurricanes and cyclones, two types of meteorological events that directly affect public safety, property, and ultimately, economic health and development. Boeing will furnish the communications subsystem with a search and rescue capability to detect distress signals from ships and airplanes, and will also furnish space environmental monitoring instruments and operator training. Ground station upgrades will be provided by Boeing's teammate Integral Systems Inc. BSS will also integrate three government-furnished instruments: and imager and sounder built by ITT Industries, Inc., and a solar X-ray imager built by Lockheed Martin. The imager is a multispectral five-channel instrument that produces visible and infrared images of Earth's surface, oceans, cloud cover and severe storm developments. The multispectral sounder provides vertical temperature and moisture profiles of the atmosphere, augmenting data from the imager. Sounder data are also used in computer models which produce mid- and long-range weather forecasts. A new solar X-ray imager will monitor the sun's X-rays for the early detection of solar flares. This early warning is important because these solar flares affect not only the safety of humans in high-altitude missions, such as the Space Shuttle, but also military and commercial satellite communications. The GOES satellites also carry space environment monitoring instruments, built by Panametrics Inc., which monitor X-rays, extreme ultraviolet and particle emissions including solar protons, alpha particles, and electrons. These space environment monitoring instruments also include a magnetometer, built by Science Applications International Corporation (SAIC), which samples the Earth's magnetosphere. A data collection system on GOES receives and relays environmental data sensed by widely dispersed surface platforms such as river and rain gauges, seismometers, tide gauges, buoys, ships, and automatic weather stations. Platforms transmit sensor data to the satellite at regular or self-timed intervals, upon interrogation by the satellite, or in an emergency alarm mode whenever a sensor receives information exceeding a preset level.